NASA internships provide students the opportunity to get hands-on experience and to work with scientists, aeronautics, space science, and engineering personnel at NASA Centers or within the aerospace industry. Link to: NASA Centers and Facilities. U.S. citizens (and sometimes permanent residents). Community college, undergraduate, and graduate students are all eligible to apply. Students must be enrolled full-time. 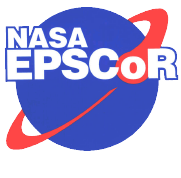 NASA internships are generally open to students completing their sophomore through senior years, or first and second year graduate students. Some NASA internship programs will accept community college students after their second year of study, especially if they will be transferring to a 4-year institution to complete their bachelor’s degree. Minimum of 30 credit hours/45 quarter hours completed. Minimum GPA of 3.0/4.0 for most. The application process varies from center to center and with different opportunities. The application deadlines shown below are for 10 week summer internships. Funding for summer internships is $7,300 for undergraduates and $9,000 for graduate students. 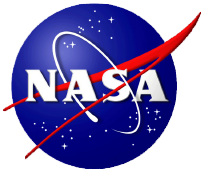 Information: Internships at NASA centers and associated facilities. Students work with a full-time mentor at one of the NASA Centers or facilities on a hands-on research project. Students can also participate in seminars, social events, and enrichment opportunities offered at the Centers. Information: The NASA Academy is a unique summer institute of higher learning whose goal is to guide future leaders of the Space Program by giving them a unique perspective on the entire NASA system. It includes a 10-week residency program on the campus of a NASA research center. During this residency, students work closely with NASA researchers on on-going projects, work with other residents on team projects, and attend discussions with experts from both inside and outside NASA. Programs at Ames, Glenn, Goddard, Langley, and Marshall. Eligibility: U.S. citizens, permanent residents, and citizen of participating European Space Agency countries. Lodging and meals provided. Experience cutting-edge research in the planetary sciences at LPI or Johnson Space Center working one-on-one with top-notch planetary scientists. Open to both U.S. citizens and foreign nationals. Each summer the Space Telescope Science Institute brings 15 to 20 students to Baltimore, Maryland, for a Space Astronomy Summer Program (SASP). SASP lasts ten weeks and students work with researchers and staff on projects ranging from astronomical research to science writing, software development, and preparation of scientific data for public release. There are no restrictions on who may apply, foreign students may apply. The goal of the program is to provide promising undergraduate and graduate students with the opportunity to work in the area of civil space research policy in the Nation’s capital, under the aegis of the Space Studies Board. We primarily want an enthusiastic person who is a quick learner. Detailed prior knowledge of the aeronautics and space fields is not necessary, but a keen interest and some basic familiarity with these topics is needed. Since we deal with the historical aspects of science and technology policy, strong research, writing, and editing skills are key. Thus, social science majors who are interested in natural science might be best, although we would be glad to talk to any interested student.